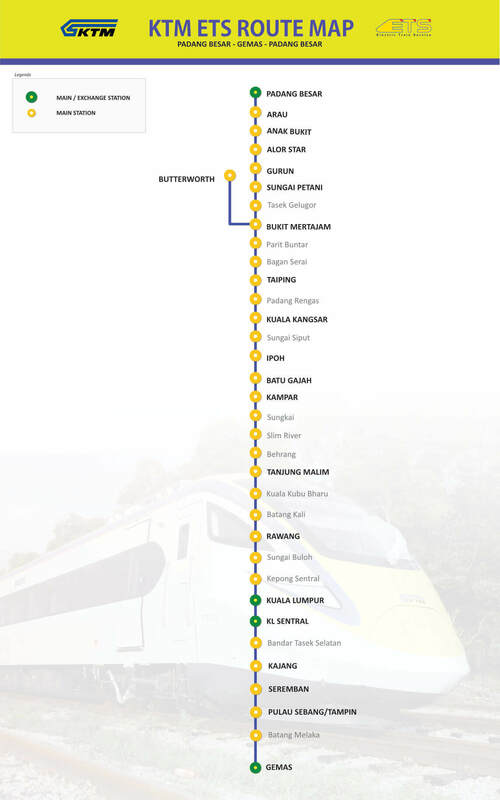 Passengers wishing to travel by ETS train from KL to Penang can refer to the schedule below. 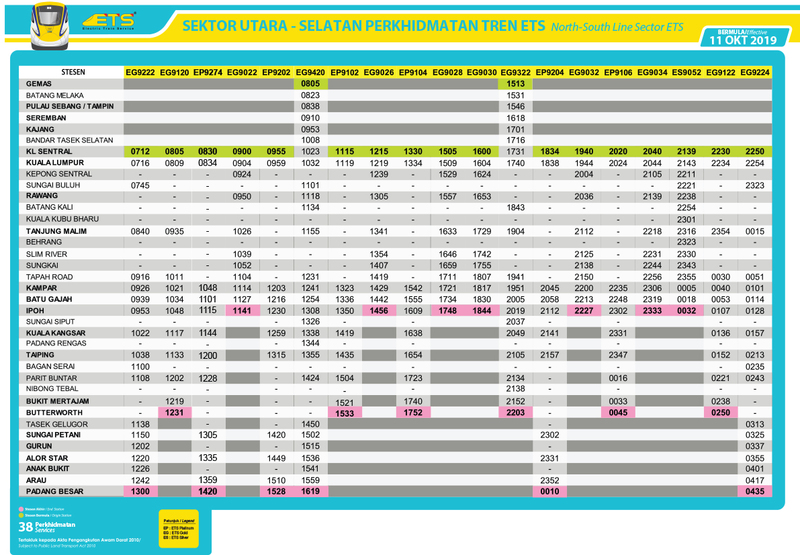 The ticket price of ETS from KL to Penang will differ based on the class selected. The Pearl of the Orient is famous for its colonial buildings, rustic street charms and delicious street food. It is no surprise that Penang has become a popular tourist destination. Passengers can relax in picturesque beaches, visit the many heritage buildings, or simply indulge in local food delights. By travelling via electric train from KL to Penang, passengers can travel in the comfort of our well-equipped coaches. Booking your train ticket from KL to Penang is made easier with our online platform. Passengers can choose to book their tickets through our e-ticketing system or via mobile application. Passengers are advised to check preferred trips and ticket price of the KL to Penang ETS train prior to booking. Being a very popular route, do remember to book your tickets earlier as they are often sold out during festivals and public holidays.